MIGHT IT BE TIME TO K-I-S-S? I had no idea where he was going with this. He started to explain by saying, “life is already messy, why make it more messy”? He said, ” You want the truth? We like to make things much harder than they really need to be. All the ridiculous messes and crap in our lives, guess who created it, we did”. Think of life as a kid, it was pretty simple was it not? What did you worry about? What did you think about? It was all pretty simple stuff. What happened? We happened. Why in the world as we grow up, we make things so darn complicated? If only we would follow what Winston Churchill said, “All the great things are simple, and many can be expressed in a single word: freedom, justice, honor, duty, mercy, hope”. Instead of following these things, we rush around, make promises, and burn ourselves out. More, more, more, if only we had more. This is our culture and how we all tend to live our lives. We think that when we meet certain goals or acquire more stuff, people will see us as successful. Really? We work more than we play, play becomes work, and work never becomes play. This results in things getting even more out of control. Might it be time to K-I-S-S? Stop for a moment, close your eyes, and take 30 deep breaths. I pray you can do this. After, open your eyes. What do you see, what do you hear, what do you feel? These are the things you must learn to focus on. Stop trying to accomplish only to not accomplish. Focus on what is simple, and remember to always keep it simple. What I can tell you is this, life, the one you are living, really can be simple. You make it complicated. 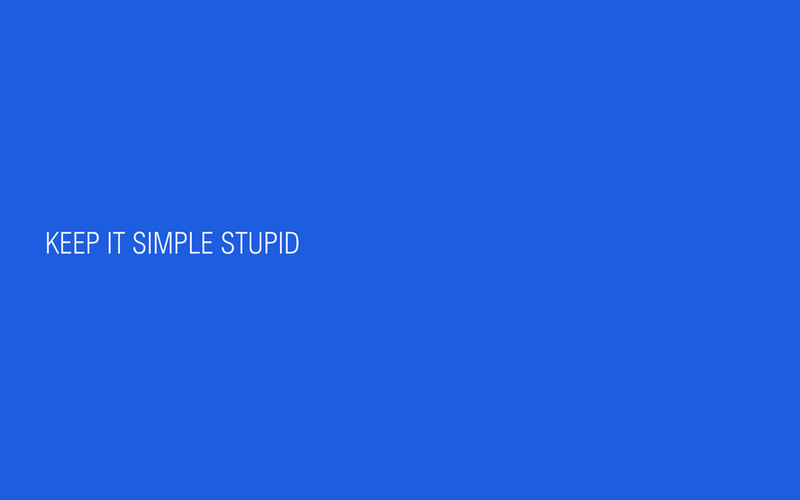 Are you keeping it simple? Or are you complicating things? What are some tips you might have for keeping it simple? We would love to hear from you.